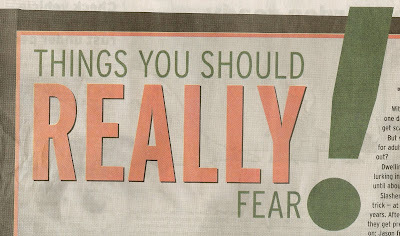 Nevermind the ghosts and goblins and black cats -- our local paper had a freakish feature yesterday in honor of Halloween, listing a whole bunch of real-life things that grown-ups can unabashedly be scared of. Some of the tamer ones were things like drug-resistant infections in hospitals, mountain lion attacks, political apathy, avalanches, houses built unwittingly on some of Colorado's many miles of old mine shafts. Maybe the scariest parasite of them all, this yard-long, spaghetti thin worm is contracted through untreated water in Africa. It lives in the body for more than a year before erupting from the legs or feet - or even eye sockets - of victims. The worm emerges after squirting acid into the skin to create a blisterlike bubble. Once the head emerges, the only treatment is to pull out the worm a few centimeters a day and wrap it around a small stick. This process usually takes weeks or months. Yikes. You take a relaxing vacation in southern Mexico or Central America, spend quality time on the beach, and when you get home, painful lumps appear on your scalp. In a few weeks they start to move. You can hear them. It's a colony of botfly larvae gorging themselves on your blood. 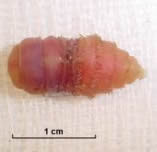 Finally, six to 10 weeks after you first caught them from a mosquito bite, the fat, inch-long grubs bust out of your skin and drop to the ground. You'll be rid of them, but the memory will haunt you forever. Good lord, I think my head itches. Scariest post ever. No, really. Everything itches now. Richard Hawley does Johnny Cash - loved it. holy crap.. I swear I could imagine Vincent Price fighting giant larvas from hell that were taking over everyone's body.. it's disgusting quite frankly. The thought of grubs popping out of a scalp is going to stay with me for a very long time. I know what I'll be dreaming of tonight. Funny that you should mention evil SuperBugs. Down here in dear old NZ we're lucky enough to currently be having a SuperBug scare. Apparently there's some nasty little thing roaming the corridors of our main hospital eating whole children or something like that, I'm a bit unsure on the details, but it is very exciting to be on the cutting edge of something for a change. Who would win in a battle between the botfly and the guinea worm? I have my money on the latter. Also, with relation to McLusky in your last post, though they've broken up, at least one member, possibly more, is in a new band going by the name of Future Of The Left. black cat is amazing...chris cornell sounds kinda lo-fi))).. I'll go the former, just for arguments sake. 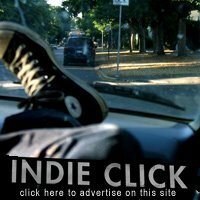 Half Acre Day has a great song called "Candy". holy head grubs Heather! wow...if I'd known about this I never would've taken a trip to Central America a few years ago.